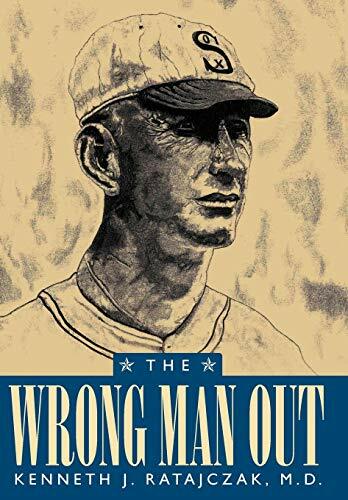 This book looks at the 1919 World Series with emphasis on Shoeless Joe Jackson and an attempt to determine his role in the "Big Fix". It also looks into Charles Comiskey and Judge Landis. The final chapter compiles the information into a fictious trial of Joe Jackson and puts Comiskey, Landis, and Major League Baseball under the microscope. The reader is part of the jury and is encouraged to listen to the testimony and submit his/her verdict to Major League Baseball. Dr. Ratajczak is a board certified radiologist and retired Colonel from the United States Army. He received his undergraduate degree from the United States Military Academy at West Point in 1972. He received his Doctor of Medicine from Indiana University in 1977. He has been a Chicago White Sox fan since he was 6 years old. His interest in Shoeless Joe Jackson was piqued when he read Shoeless Joe Jackson and Ragtime Baseball. Over a three year period, he read nine other books to try to find out what Joe's part was in the "Big Fix" or whether Joe was involved. With the evidence available, he began his work on The Wrong Man Out.